Quality, Selection, Service, and a Desire to not only sell vehicles, but to make life-long friendships! 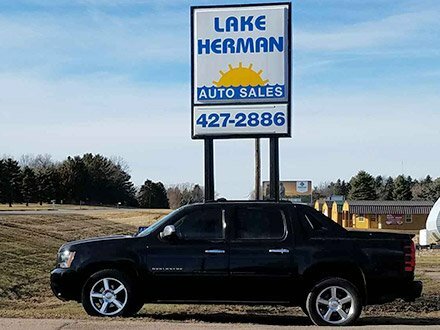 Enjoy the views of Lake Herman & Lake Madison as you test drive your next used car, truck, van, SUV or crossover from Lake Herman Auto Sales in Madison, SD. We are located at 45278 W Hwy 34. If you can't come to us we'll come to you! Here at Lake Herman Auto Sales we are proud of our years of experience and want to pass that knowledge on to you...Ask us about our motorcycles, campers and inventory specials too!